It's been a long time since I've posted about a book. While that doesn't mean that I haven't read any books great enough to talk about, this one really got me. It's cliche, but several times, it literally had me laughing in one moment and crying in the next. 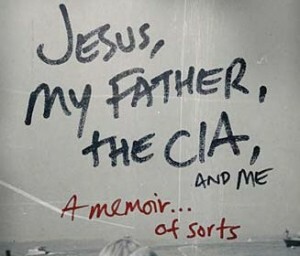 His father was an alcoholic and an agent for the CIA. He had a nanny. College was filled with drunken partying. He's an alcoholic himself. And yet, I was able to identify with his story because he was able to tell it so well. What I really appreciated about the book was Cron's ability to say up front that the anecdotes and conversations he'd write about were obviously in the spirit of what happened, and not perfect historical accounts. This is life. I can hardly tell you in exact factual detail how an event I witnessed an hour ago went down, let alone one from my childhood. But I can tell you the truth of how I remember it. In a world that tries so hard to remember - or worse yet: create - the factuality of events past, what we really have are warped shadows of what happened, or again, worse yet: a truth full of lies, which is no truth at all. Truth is hardly about facts. So don't let the facts get in the way of the truth. So I really appreciated the way Cron approached his own life story. I've often looked at the memory of an event in my childhood and wondered what might have "really" happened. 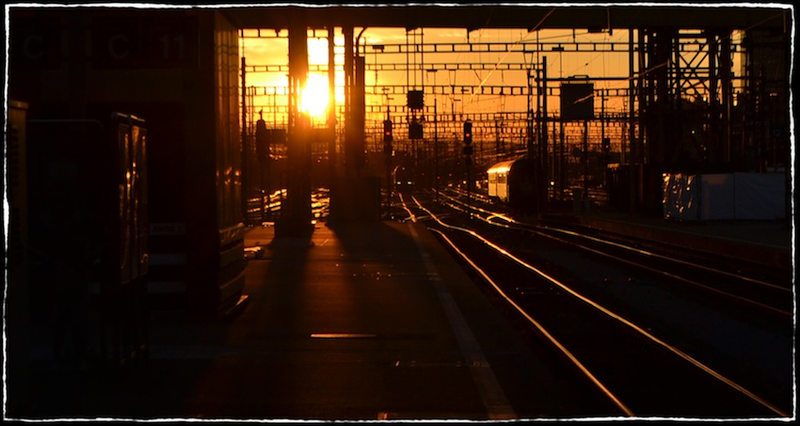 In the end, it doesn't matter, because I grew up thinking it happened one way and my life has been profoundly shaped by that thinking. The realization that things can be so often (mis-)remembered in this way - at least in terms of fact - hopefully causes us to be gentle in how we respond to the words, stories, and remembrances of others. And so, the media, politics, and the brutality of scientific fact...these things often make me weep. 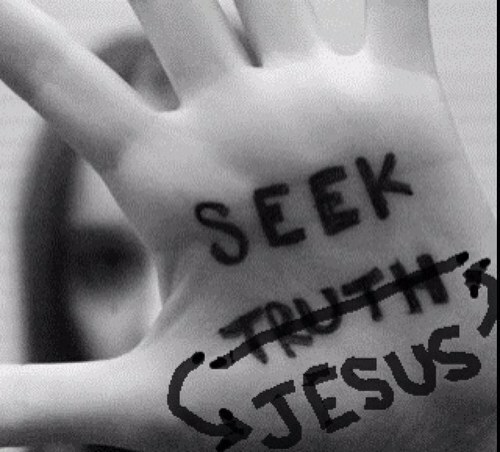 I recently came across this picture that says: "Seek Truth" with truth crossed out and "Jesus" scribbled in instead. Traveller, there is no road.